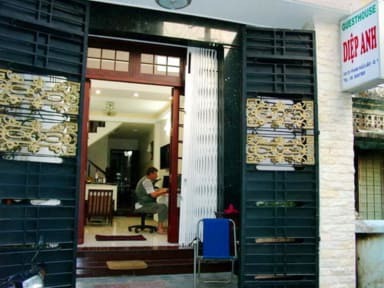 Located in the heart of backpacker district of Ho Chi Minh City, Guesthouse Diep Anh is a modern, safe, clean, comfortable, warm-hearted and a very friendly family-run Guesthouse. 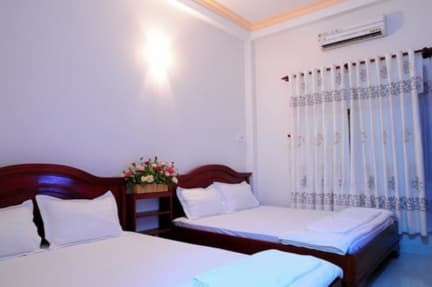 Situated in an alley (directly back of Pham Ngu Lao Street), our guest house offers you a quiet place to relax after a day out with full of fun or in case you are planning go to bed early. With 2 twin-rooms and 5 double-rooms (3 rooms with balcony), we assure providing that 'home away from home' feeling, which can be hard to find in other hostels or guesthouses. Extra beds are possible on request. All rooms are new, clean, comfortable and spacious (26m2) with big windows, high-quality equipments such as air-conditioning, mini-bar, cable-TV (with over 60 channels), private bath with warm water heated by a solar-energy system. All equipments are environment-friendly. WLAN/Internet access is available at free of charge throughout the house and certainly in all rooms. Coffee is free for whole day. Nearby are many sight-seeing, shopping centers, markets, pubs, restaurants, etc. It is convenient to walk around every sight-seeing spots. *ATTENTION: We have no branch, no relationship with other guesthouses, in case they have the same name. We locate only at: 241 / 31 Pham Ngu Lao street, Dist. 1, Ho Chi Minh city. - Deposit 12% for Hostel-Agency is Non-Refundable.